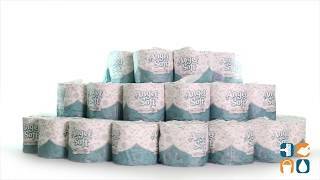 Angel Soft PS premium bathroom tissue is a high quality toilet paper made from a premium embossed 2-ply material. Angel Soft delivers “at home” quality that can be used for your business as well as your home. Angel Soft bathroom tissue provides instant brand recognition from Georgia Pacific, a trusted brand name. 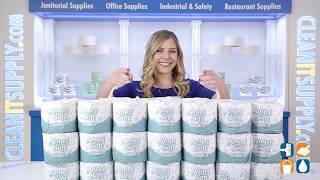 The high capacity roll and upscale packaging make this quality toilet paper ideal for offices, schools, day care centers, restaurants, hotels, nursing homes, hospitals, public facilities and any place of business. Each roll of Angel Soft toilet paper comes individually wrapped for sanitary purposes and is available in 4” by 4.05” sheets that will fit standard toilet paper dispensers. Angel Soft is safe for all sewer and septic systems. Make an impression on your guests with high quality, affordable Angel Soft Bathroom Tissue. Stock up today!